In the late summer of 2011, the Shakes signed a deal with Red Light Management, who also manages the careers of Dave Matthews Band, Phish, and Drive-By Truckers. They helped them figure out a few things – like a trademark issue resulting in the need to change their name from The Shakes to Alabama Shakes – but largely let the band grow organically. Some of the songs that Justin Gage discovered on ReverbNation in July were turned into a four-song self-titled EP and put on sale for $4 on Bandcamp (though it still isn’t on iTunes). Zales licensed “You Ain’t Alone” for a diamond commercial. At the end of December 2011, nearly a full year after their first sessions at the Bomb Shelter, the band went back to Nashville to cut the last song for their new record, a soul ballad called “Be Mine.” Though they’d tried to record it previously, they never achieved the feeling they were looking for. At one session, Howard’s voice gave out before they could finish it. At the final December session, the band tracked it live and nailed it in the first take. “Be Mine” was one of the first songs the band ever wrote together, and recording the song at this last session of 2011 seems like a fitting end to a momentous year. Fogg says the song is special to them because of its humble beginnings – just a jam among friends – and it was important for it to be on the album. 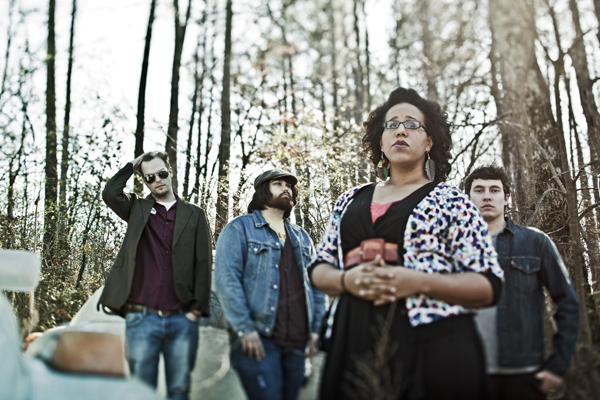 Fogg says that despite the astonishing success of the band – two record deals, sold-out concerts, and endless accolades in the press – there are still plenty of creative and personal challenges for the Alabama Shakes. Howard says it’s miraculous she and her band-mates found each other. They are, after all, a sort of dream band for her. “I used to sneak out of my house to go see Heath’s first band play, because I thought they were incredible. Heath doesn’t remember the first time I met him, but I remember. I went to this house party. I should not have been at it, but I was just there listening to the band. I thought Heath was the most incredible guitar player I’d ever heard. Howard was too shy to do anything that night except ask Fogg what type of guitar he was playing. After he told her, that was the end of their first conversation. “I think the songs on the new album were written lyrically for us – like little bits of motivation” says Fogg. We try to keep a positive, hopeful theme throughout the record. There’s some sad songs on there, but each song is about overcoming, no matter what it is – it could be looking for a job, or a relationship. Of course, when you write songs that are that real, even if they’re not meant necessarily for other people in the world, sometimes those songs have a way of becoming bigger than our selves.